This 50's beauty see a group of U.S. scientists conducting research into a recently discovered new planet that seems to be hurtling towards the Earth. From their outpost in rural Scotland the scientists happen across a strange alien being sent from the planet for some unknown reason. What is most striking about this movie is that it is shot like a horror. It uses deep blacks and atmospheric greys in every composition while the exteriors are rendered with stylised miniatures and, as if working from a checklist of horror conventions, rolling mists and lighting. At its heart this movie isn't out to scare. 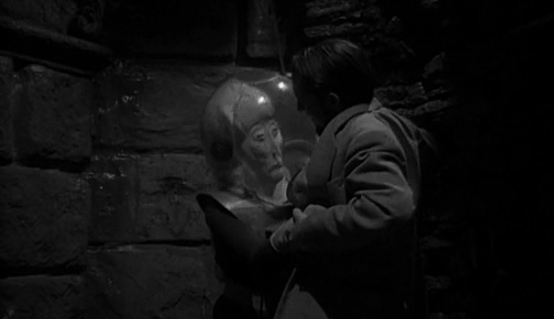 The tension that builds before we see the creature is palpable, yet almost as soon as the massive-faced alien is revealed we are asked to sympathise. Rather than the creature hunt down humans one-by-one the scientists engage in a battle to win its trust, trying to skate a fine line between learning as much of its knowledge as they can and provoking it into warfare. As the two parties try to fathom each other out a more immediate threat emerges from those great pools of black. Another, more ambitious, scientist wants to capture the creature and exploit its knowledge for financial gain. It is this abuse of power that pushes the creature too far and catapults the narrative to its dramatic, if fairly conventional, climax. 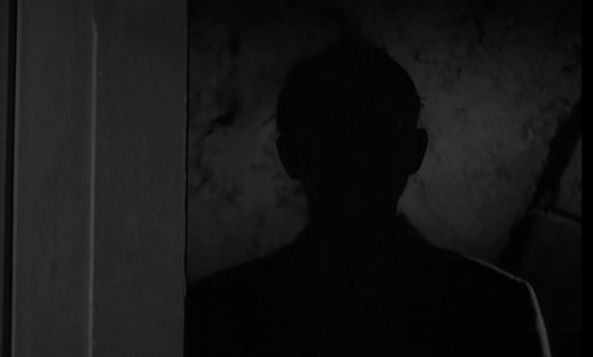 The aforementioned use of shadow hides a lot seams resulting in a 50s sci-fi movie that actually looks like it has some production value. 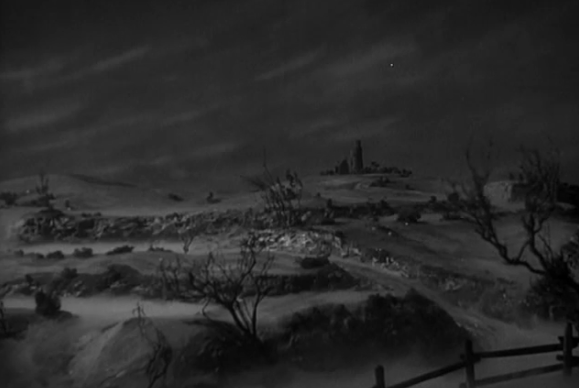 The establishing shots are clearly miniatures but effective ones none-the-less. The alien wears the fixed expression of someone that has just had lemon juice trickled down their urethra but is an iconic and cool beastie. 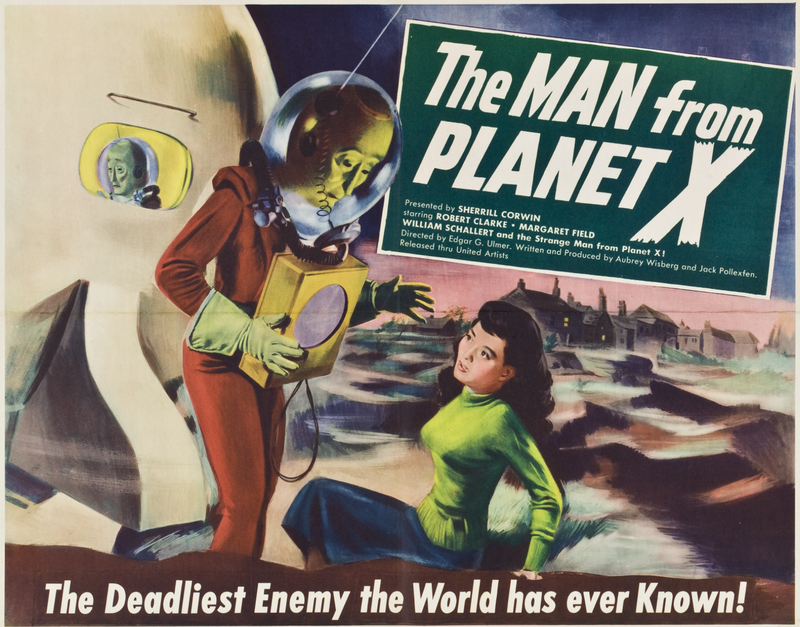 The Man From Planet X is a handsome B-movie that manages to ring some new ideas out of the alien invader plot. It's good fun and you could do worse than checking it out.